Do you spend too much of your time trying to schedule events or meetings? Did you ever wish there was an easier way for you and your clients to schedule appointments? Doodle and Appointlet are here to solve all your scheduling needs. With Doodle, you can easily schedule meetings with co-workers without having to send countless emails and phone calls back and forth. There is no need to play scheduling ping-pong between several different individuals and meeting times. Doodle allows you to send one poll through the Internet and have participants indicate their specific availability. This allows you to schedule your meeting quickly and easily. Doodle can speed up the process of picking a date and time by easily showing you what time and date is most popular … all for free. I first found out about Doodle last year while working at Oakland University as a Resident Assistant. My supervisor used it to help us schedule a staff meeting, and ever since then I have been utilizing Doodle to schedule events of all kinds! Pick the dates and times that you would like to try and schedule an event. Send invitations to the people attending your event. Doodle shows you and the participants which time and date is most popular so you can have everyone in attendance at your event. Doodle Mobile gives you the ability to schedule events from anywhere. You can respond to a meeting poll, propose a poll or even check up on a current poll all using your mobile device. Doodle Mobile is even available across time zones, to help make international scheduling easier as well. Simplify scheduling even further by creating a MeetMe profile to allow others to view your schedule online to schedule events. (doodle.com/meetme)) This way you can show them when you are free, and how you want to be contacted. With Premium Doodle, you can customize your polls with your brand for a professional feel. Synchronize with your calendar with Doodle which is compatible with Google, Exchange, Outlook, LotusNotes, and iCal. This will allow you to easily propose a poll without having to go back and forth from your calendar to Doodle. You can send automatic reminders for your poll participants, see who hasn’t responded yet, and much more. All for a varied increased price based on which category better fits your needs. Appointlet allows you to basically have a personal assistant in the cloud. If your business requires you to make appointments with customers or clients, you can simply have Appointlet take care of all the scheduling for you to avoid the back and forth emails and phone calls to set up an appointment. With seamless Google Calendar integration, appointment reminders for your customers, and a payment method, a personal assistant is waiting for you in the cloud. Appointlet allows you to take control of your schedule by allowing two way Google Calendar synchronization, so you and your customer or client can always have the right time and avoid over-booking. Customers or clients have the ability to schedule a meeting or appointment around the clock, 24/7 on any device they choose. So even if you are fast asleep, Appointlet will take care of everything for you and get your business rolling, all the time. If you have more than one staff member, you can easily add all their calendars. Just add your staff, link their calendars, and you are ready to schedule appointments for multiple staff members. Your staff members could even get their own link to accept the bookings independently. Accept, re-schedule, and cancel appointments all within the familiar Google Calendar that I personally love. Appointlet has a feature over top of the calendar that makes viewing your schedule easy. Appointlet has an ability to collect a full price or deposit using Stripe, Pay Pal, and more when your customers make the booking. This feature will help you get paid as soon as possible. To reduce being stood up for an appointment or meeting, Appointlet automatically sends reminder notifications to your customers or clients. You then can be more effective with your time and reduce the amount of no-shows. 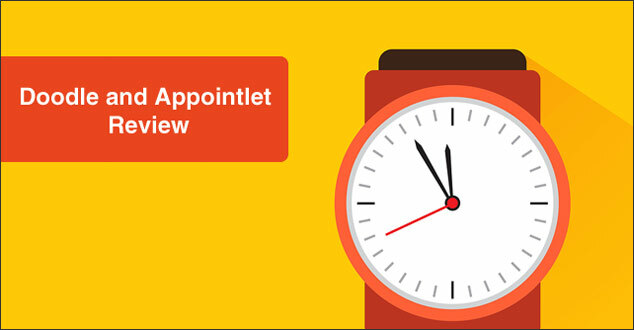 Appointlet collects the important information from you customers or clients including their Skype name, phone numbers, or addresses and puts them right on your calendar. This way, you can always be prepared and organized. If you have customers who speak another language than English, no problem! Appointlet is available in Spanish, French, German, and more to help you reach a larger audience. Appointlet makes it easy to communicate with international customers. Utilize this scheduling software to avoid scheduling an appointment when your out of the office, because Appointlet translates the time zones for you. Plus, you do not need to worry about being awake to do business as it can get done while one side of the scheduling is fast asleep. If you ever need to master the advanced features more quickly, or want to receive help with a certain issue, you can easily get help from the Appointlet team. Appointlet however is not free, unfortunately. Appointlet does offer a 30 day trial without inputting a credit card. This way you can determine if Appointlet is right for you and your business. Check out different pricing based on your needs at Appointlet Pricing. Whichever scheduling helper you plan to use in your business, I would encourage you to explore both. Doodle and Appointlet are great tools for you and your business to utilize. Whether it be scheduling a small business meeting and get-together or managing customers and client’s bookings, these tools are here to make your life easier. Do you currently use Doodle or Appointlet for your business? If not, do you see either of the tools being useful for you? Please use the comment section below, I would love to hear from you! I am not being or is R & R Web Design LLC compensated for the Doodle and Appointlet product reviews. In addition, I am not, nor is R & R Web Design LLC, an affiliate in any form. We do currently use Appointlet for our business to schedule Help & Support calls with customers & prospects. The great thing for us about Appointlet is that we never have to think about timezones. Considering the fact that we’re booking with people from all over the world, that is a big win for us. Furthermore, we’re also using our Zapier integration to sync all new bookings to our Streak CRM. This makes it easy to then follow-up and keep a record of customers info. I’d gladly answer any questions that anyone might have. Thank you for stopping by and reading Chloe’s review about Appointlet. We are honored! Thank you also for offering to answer any questions that our readers may have.